This image is from Demarquette - They won an awesome award for these chocolates! I first tried this whipped confection at a VIP event for Demarquette and instantly enjoyed it. I cannot say I’m surprised that it is a big award winner and the award -wais proudly displayed next to it. I know that to do well at the Great Taste Awards you have to have impactful flavour almost instantly and it has to be punchy in a short period of time. Whereas a lot of fine chocolate needs time to develop well, Great Taste judges apparently don’t have that luxury, making this win all the more impressive. The name of these chocolates is particularly intriguing and as a sailor I briefly wondered if it had something to do with sailing or water but actually it is intimately related to chocolate. 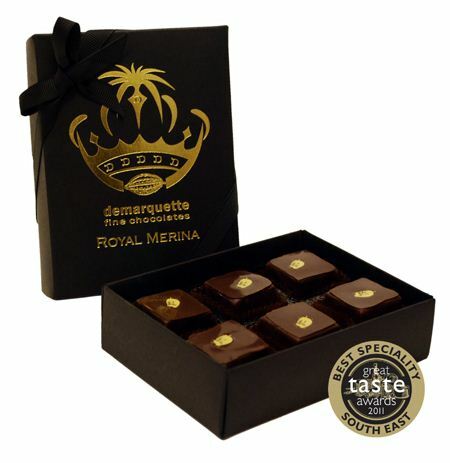 This chocolate is one of my favourites – Madagascan. This whipped high-quality chocolate is named in honour and respect of one of the earlier people of Madagascar – the Merina people. They had a very stratified system and a number of different noble classes and had a brief but fascinating history. The crown on the Demarquette box has a stylised version of the royal Merina crown. In 1540 the royal Merina line and kingdom were established. Not sure they had whipped chocolate or really any decent chocolate by today’s standards but they had an island split among a variety of people which the king of the Merina people strove to conquer and unite. Unfortunately, there were a series of troubled rulers and eventually the French conquered this important chocolate region. That lasted until 1960 when Madagascar shed colonial rule and freed itself from France. I think today people could be split over these chocolates. While political instability plagues the nation, much as in other parts of Africa, there is a certain element of romanticising the past and a desire to return to more traditional values by different people at different times. Hindsight may be 20/20 but memory is also short and these Royal Merina chocolates cause an interesting inspection of the current political and social situation and the history of the Merina people. These chocolates are a mild, delightfully silky larger chocolate ganache. The plain chocolate flavour develops well with no bitterness or rough edges. 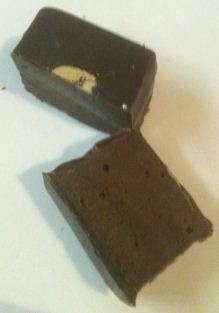 The chocolate has a light but slightly acidic edge so you will get a bit of the tingling in the back of the cheek but it is very mild. It is delicious and you really must get some! mmmmm these look delicious!! so luxurious!